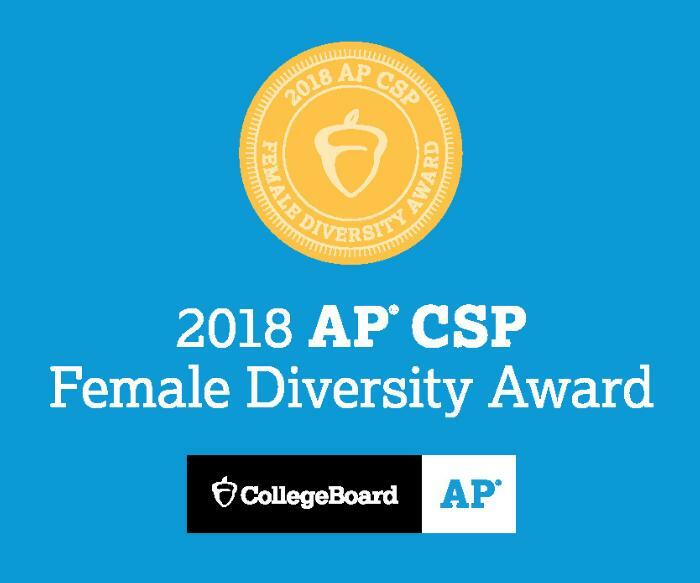 Madeira has earned the first College Board AP® Computer Science Female Diversity Award for achieving high female representation in AP Computer Science A. Schools honored with the AP Computer Science Female Diversity Award have expanded girls’ access in AP Computer Science courses. Out of more than 18,000 secondary schools worldwide that offer AP courses, Madeira is one of only 167 schools that earned the AP Computer Science Female Diversity Award for AP Computer Science A. Beyond preparing students for AP Computer Science in the classroom, Madeira also provides real world STEAM exposure through its Co-Curriculum internship program, giving students hands-on experience at engineering firms, labs, and technology companies. Trudy Painter ’19 completed her senior Co-Curriculum internship at the Johns Hopkins Applied Physics Lab, where she researched security vulnerabilities in ship navigation systems. Providing female students with access to computer science courses contributes to gender parity in the industry’s high-paying jobs and drives innovation, creativity, and competition. According to UNESCO’s Institute of Statistics data, less than 30% of the world’s researchers are women; in North America and Western Europe, it’s just 32%. Research shows women are more likely to pursue computer science if they’re given the opportunity to explore it in high school. 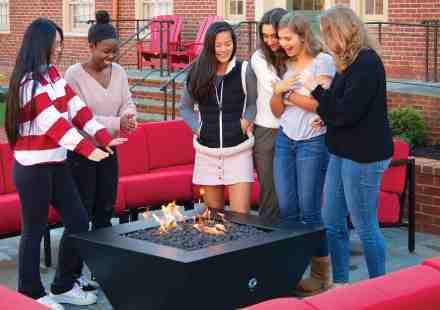 In addition to Co-Curriculum internships, Madeira recently offered a STEAM leadership trip to Silicon Valley to connect students with alumnae and other female executives in an array of the country’s leading technology companies, from startups to innovation leaders, like Google, Pixar, and Oracle. Students were personally guided and mentored by Madeira engineers, animators, marketing professionals, designers, producers, and other inspiring women, who offered workshops and shared career advice. Networking and interning with female mentors in STEAM fields provides young women with invaluable direction. Madeira is proud to be among the top AP Computer Science programs worldwide in providing inspiring opportunities for young women.